Birthdays are a time of celebration, joy and festivity. When the date rolls around to the day and month you were born, another year is marked in recognition of your time here on Earth. 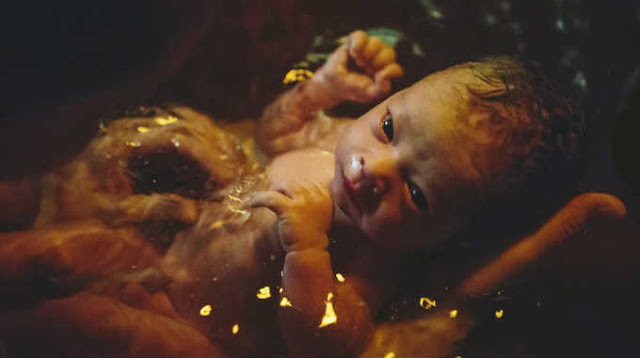 The moment you were brought into this world was full of momentous transformation and new existence. There exists a whole belief system that draws meaning out of the numbers contained in your birth date. High-Ranking Republican Asks NASA: "Was There A Civilization On Mars?" 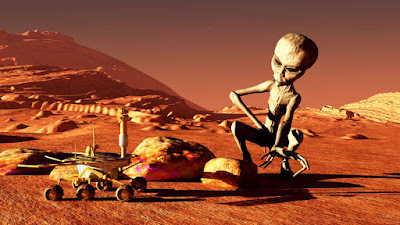 America’s House Committee on Science, Space, and Technology is, to put it politely, a joke. The Republican-dominated chamber is lacking in actual scientists, full of climate change deniers, and it regularly shares Breitbart articles on its Trump apologist-themed Twitter feed of falsehoods. Despite being able to direct the country’s science policy, it is about as scientifically knowledgeable as a dog. “Would you rule that out? That – see, there are some people…well, anyway,” Rohrabacher replied. He may be alluding here to the mind-blowingly stupid conspiracy theories of Alex Jones, who recently claimed NASA has a colony of child slaves on the Red Planet. Alternatively, he could be referring one of several alien-spotting YouTube channels. I was visiting a friend in New York City this past weekend as we discussed various elements of all things spiritual. Discussion of teachers, techniques, paths and so forth culminated into some personal and candid sharing with one another. She knew some of my past but not all of it. She’d never heard the stories of my self-inflicted cutting, or that I used to sleep on a dozen sharp knives because it gave me a sense of being alive in an otherwise empty and fleeting day to day reality. Then there was the suicide attempts, numerous trips to emergency rooms, rehabs and psych wards, all of which she took in stride. As I went to sleep in my friends cozy guest bed, I reflected on those dark times and how truly transformative the following technique taught by Thich Nhat Hanh has been in turning my life around. I also thought that since it’s worked so well for me, it may work well for you too. It’s extremely simple and can be done anytime, anywhere and in virtually any circumstance. The following is my translation and is not verbatim. As Hanh teaches, however, it’s not the words that matter but our commitment to, and intention behind the practice. So with that being said, I’ve broken it down to seven simple steps for you. 1. Whenever you become aware of negative thoughts and emotions arising, rather than ignoring them, or setting them aside for later, identify, acknowledge, and honor them. Through bringing our attention to the image of our painful thoughts and emotions, and tending to it with an open heart, we’re doing the most natural thing we can—expressing love. Instead of ostracizing our uncomfortable thoughts and emotions and their unpleasant effects, we show them pure, complete and inclusive love. It’s a love they’ve never known before, and a love many of us have never known before either. The thoughts and emotions will often subside very quickly. Sometimes, however, they aren’t ready to go so fast, and that’s fine. When we initially told them we’d be with them as long as they needed us, we were sincere in that intention. So if/when the thoughts and emotions call us on it, we honor our words and hold them dearly in our heart for as long as it takes. So that’s the practice. 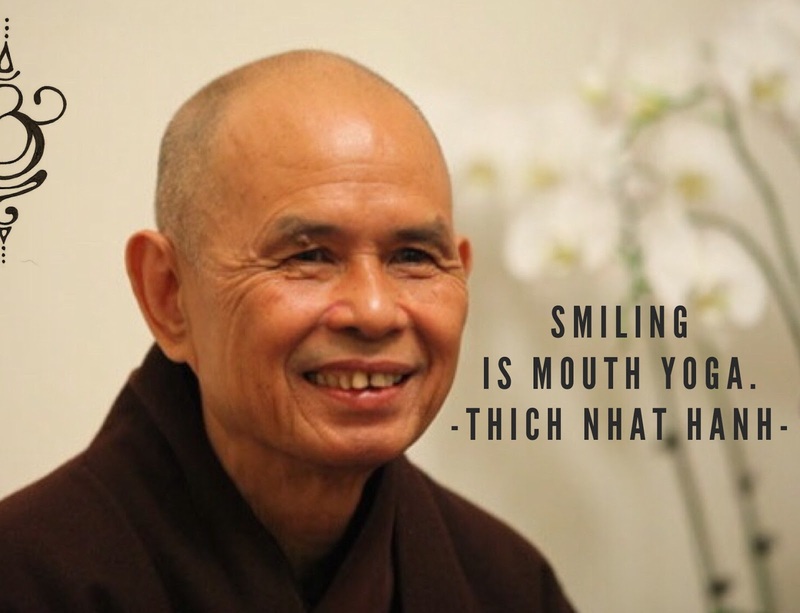 It truly is that simple and I’m forever grateful to Thich Nhat Hanh for the amazing results I’ve had with it in my life. This practice can be used on everyday minor things all the way to heavier memories of our most difficult life experiences. It’s all relevant, it’s all grist for the mill and it can all be healed. Please comment below if you try this practice over the coming days. Even if you don’t have success (which I highly doubt), I’d love to hear about your experience with it. Also, if there are other techniques and practices you’ve found to be beneficially healing in your life, please share them as well! It’s all Love, it’s all One, so let it shine! Who Did You See First in THIS Picture? The Answer Reveals Something About Who You Are! 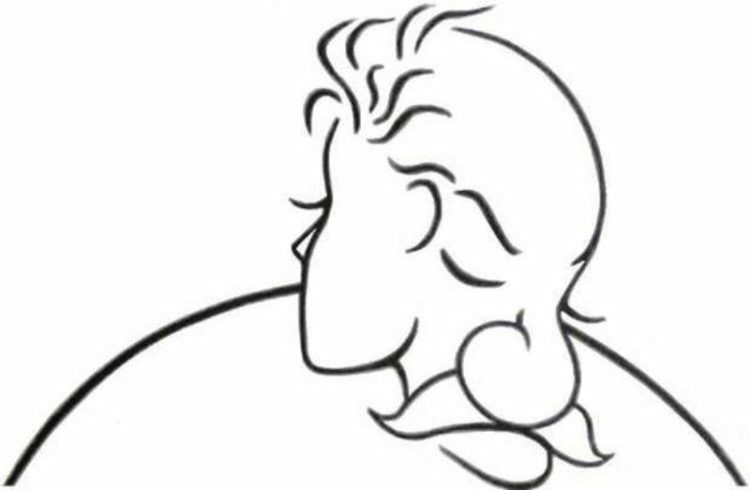 Here you have illustration that reveals an optical illusion. You must look at this picture and what you are going to see first will tell a lot about your personality. Did you see Elderly gentleman or Young girl? Your answer will reveal your character. This optical illusion is known as montasir and is characterized by visually perceived images that differ from objective reality. If you first saw an elderly gentleman. This tells us that you are very emotional person who cares about others. You are honest and loyal friend. Sometimes you are mysterious and quiet and you analyze every situation before taking some decision. You are born leader. You make a plan and do everything to make your dreams come true. You love taking risks because you are self-confident and you believe that you got the power to make things right. You are perfectionist and you are very often under stress. Try to let things happen and relax. If you first saw young lady. Most highly sensitive, or empathic people feel that their ability to feel so many different emotional energies in the environment is a curse, but with recent research shows that empaths are actually highly psychic, you may want to sharpen your empathic skills instead of hiding them, or regret their existence. Empaths have a rare form of psychic ability that is considered a rare gift. Mind reading isn’t an everyday trick. We all do it to some degree, taking cues from people’s body language, and verbal discourse. 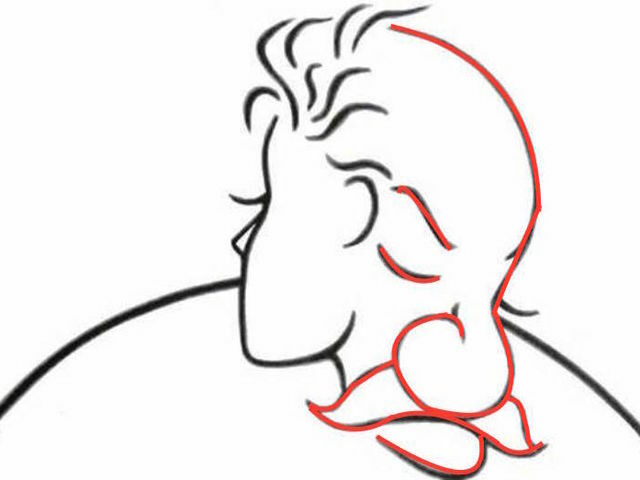 A skilled non-verbal decoder can tell if someone is lying, someone is happy or sad (even if they claim to be the opposite), or if they are manipulating others with their speech and gestures. We can all be ‘mentalists’ picking up on inconsistencies in someone’s words and body language, but empaths take it a step further. Many empaths receive psychic images, statements, hues, or smells intuitive which indicate to them, a reality beyond which most are aware. If you pick up on these energies unwillingly, you could instead focus on them, and see if you can create an even stronger psychic experience, turning your empathic skills into full-blown ESP. Then you can literally walk a mile in someone else’s shoes, and know exactly what that would feel like. IMAGINE the possibilities. How many wrongs turns, missteps, or arguments could you avoid? How much success could you experience learning from others’ mistakes? Knowing when someone is lying, or telling the truth? Priceless. Instead of evading your empathic ability to feel everything – you could use it to become a true mind reader. If you have a crazy ability to empathize with others, why not turn this around, and use it to your own benefit? So many people today are completely disconnected from their own emotions. You aren’t. This may seem like a tremendous burden – feeling what they ought to feel, AND feeling what you feel, but if you were able to develop some discernment, and focus on your own emotional growth, this gift can become your greatest superpower. For instance, let’s say you are visiting family for the holidays or a long weekend and one of your uncles says, “Don’t you know this president is going to ruin the nation?” Your internal dialogue as an empath might be something like, “Oh my God, he has no clue how every person is affecting this country and this planet, and the people who are running the show aren’t presidents or politicians, they may not even be on this planet! What an idiot.” This is what your emotional triggers might be around a simple statement that someone from your family makes. But what if you honored those feelings and learned how to communicate them lovingly? What if instead, you internally stated, “Wow, hearing what my uncle just said alarms me, to the point of even feeling panicked because that statement doesn’t agree with the world I see, or how I believe this Universe is formed, and I’m scared of being at odds with my family member.” Superpower indeed. Many people are influenced by the negative energies which are invisible to the world today. If you are an Empath, you are extremely aware of this. 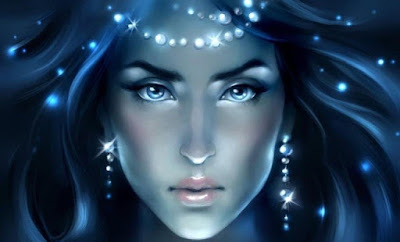 An empath can even walk into a room where a negative conversation or act just occur, and even though the conversation has ended, they can sense the negative energy that lingers. Instead of being a victim of this sensitivity to negative energy – you should look for positive energy first, and Convert that negative energy. Practice a quiet five-minute Tonglen meditation. Bring high-energy plants or flowers to a place with low energy, or simply utter encouraging words and thoughts to people around you who were also affected by the negativity. Even better? Find the humor in the situation and share it. Even the vilest circumstance has a funny side to it. Use laughter to literally create intimacy and openness where there was none. Do the wrong sheets make you break out in hives? Are certain smells absolutely revolting to you? Do non-organic foods cause you terrible gastro-intestinal distress? 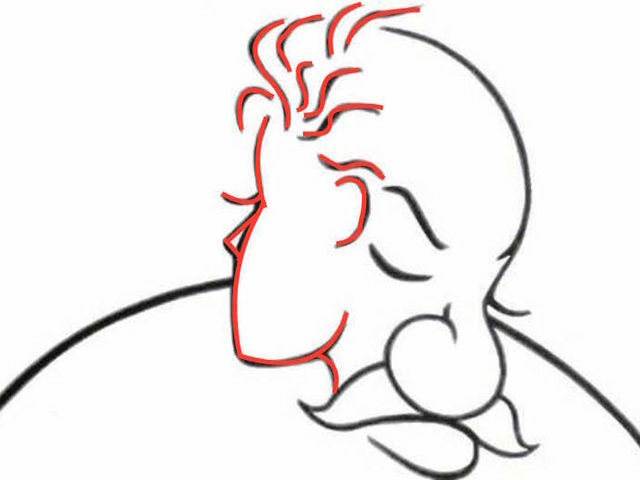 Do you need quiet in order to sleep, and alone time in order to off-load all the smells, sights, sounds, and emotions you’ve absorbed all day long? Instead of looking at this trait as if it were a burden, use it to your advantage. You could become a perfumer, and advise companies on removing chemicals and adding natural scents to their products. You could help others eat divinely prepared food by becoming an organic chef. You could develop quiet spaces like gardens, libraries, or meditation rooms that not only you need, but that others would revel in, without even realizing that they were desperate for your gift. 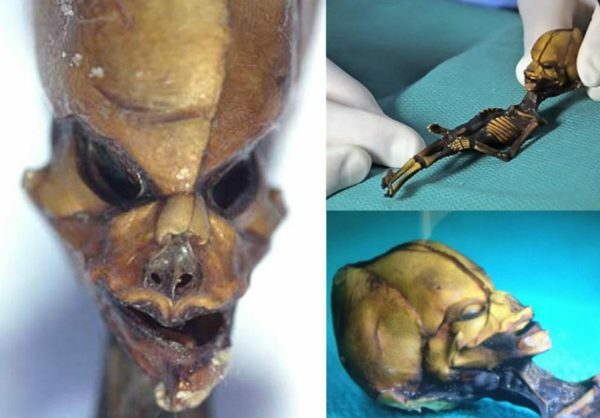 Scientists Discovered New Details About The ‘Atacama Alien’ Proving It’s NOT A Hoax! 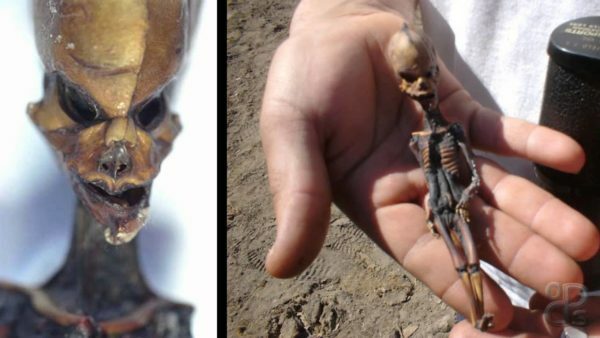 Researchers made a mysterious discovery in Chile’s the Atacama Desert in 2003. 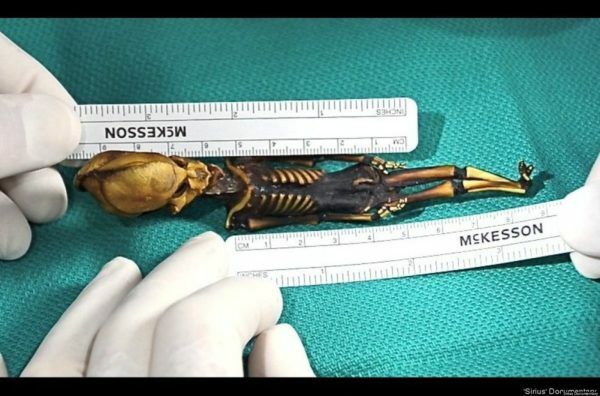 This tiny skeleton looked human but had many features that left scientists scratching their heads. The most mysterious thing about this skeleton was its length. It is only 15 centimeters (6 inches) long. 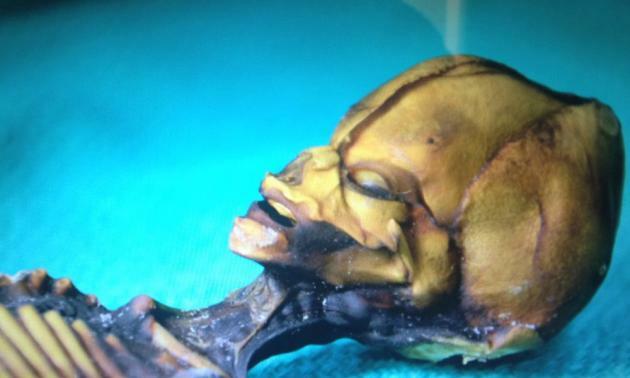 When the images hit the internet, many people assumed the only explanation could be aliens. However, scientists didn’t want to believe in such claims so they took the skeleton in their own hands (literally). Imaging showed that the chest cavity still had the remains of lungs and a heart inside. However, even after years of research scientists still can’t figure out what this skeleton actually is. 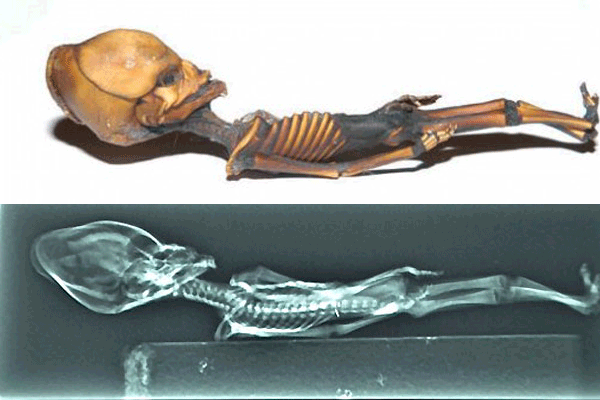 The preliminary genetic results do indicate the skeleton is definitely of human origin, but about 9% of the DNA tested did not match the human genome reference. Scientists threw away many possible scenarios like dwarfism, progeria, mummification because things just don’t add up. 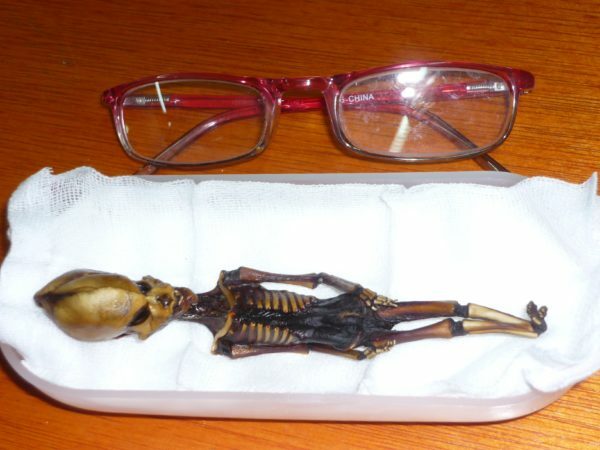 For example in the case of dwarfism the smallest person ever confirmed was 54.6 cm (21.5 in) tall while the ‘atacama alien’ is only 15 cm (7 in). 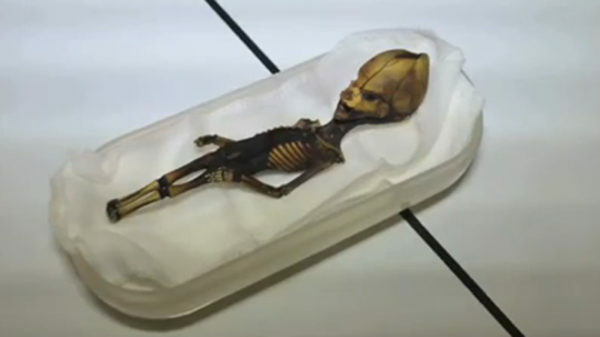 Many initially speculated that the remains were from a premature birth or miscarried fetus, though others disregarded the whole thing as a hoax. 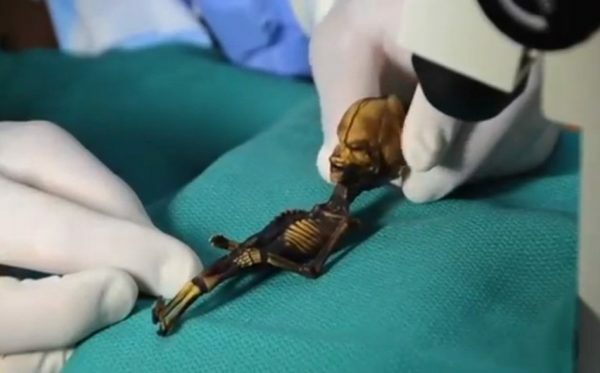 One of the most amazing discoveries from the analysis was that the ‘atacama alien’ was NOT a fetus and certainly not a hoax. There were mature teeth present in the mouth and the bones were well-developed, with the leg bones showing growth plates that one would expect to see in a 6-8-year-old child. While the testing did provide answers, it also raised many more questions. How could a 6-year-old child only be 6 inches long? In this article we have compiled a list of understanding an old soul better, as old souls often enjoy solitude and their relationships are very different than so called “normal” people as well. Old souls tend to spend a lot of their time alone, and a lot of people seem to misunderstand them. When it comes to love and being in relationships, they also express their love differently, and here, we show you how. An old soul is simply someone who is mature beyond their years as it relates to what is considered “normal” by society. They find it difficult to relate to people who are the same age as them on the grounds that their understanding and level of awareness is further developed than their counter parts. Being as such, old souls often enjoy solitude and their relationships are very different than so called “normal” people as well. Old souls enjoy peace and tranquility, regardless of the setting. Because of this, their homes are usually very peaceful places and they enjoy spending time their as it represents more than just a home, but a type of personal church and sanctuary to them. Old souls are not impressed by materialistic things at all. If you are looking to get them a gift, put your heart and mind into the gift rather than your wallet. A meaningful letter from the heart means more than a meaningless costly gift. Old souls like to keep communication strong to avoid unnecessary drama and make sure both sides are happy and feel free. Old souls are not one night stand kind of people. They prefer to connect spiritually rather than just physically and can develop an attachment rooted in loyalty, love and friendship easier than others. Old souls understand that fairness is a two way street and prefer peace over being right. They will always be willing to compromise except in extreme cases. An old soul understands that creativity is one of the greatest qualities of a human and to give this gift to another individual is a sign of great friendship and love. Being as such, they will always find a way to invest their creative potential in expressing their love and appreciation for you. Old souls are extremely intuitive and observant. If something is wrong, they will be able to sense it and ask you what is on your mind. 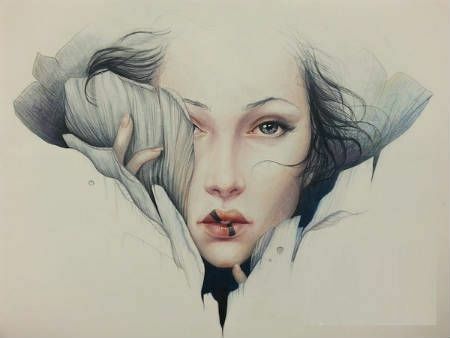 Don’t try to pretend or hide your feelings, share them and together you can figure out the problem and move on. Old souls may come across as being pessimistic at times but they prefer to look at things as they are, rather than as most people wish they were, because they realize the only way to make progress is to first recognize the situation for what it truly is and then you can take action to make changes and achieve the vision you want to see. Old souls love deeply and do enjoy the company of their loves ones but they also value independence and time spent alone. Respect this and never take it personally. It can be difficult to be with an old soul, but the intensity of their love, the depth of their understanding and their ability to think outside the box, will make it all worth it.